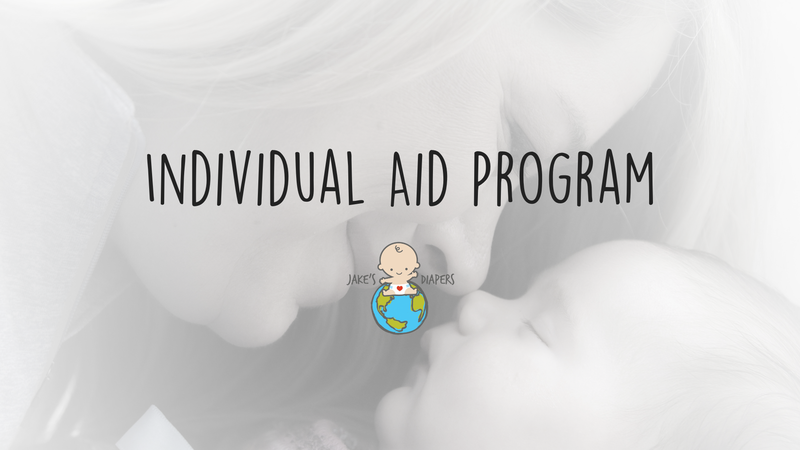 We filled a gap in our programs in 2018 with the launch of our individual aid program to allow parents in the United States to reach out to us directly for cloth diaper kits. Previously, we’ve worked only through partner Diaper Drop locations – but we started to see a giant need directly from individuals. And we were right to see that need. The program launched in October and through November we had already delivered more than 1,000 diapers to nearly 50 individuals. We’ve heard so much positive feedback from those we’ve been able to serve, including these wonderful comments on social media. When a parent applies for cloth diapers directly from our Individual Aid program, it includes a mix of covers, all in ones, pockets with prefolds, inserts, and flats; some are natural fibers, some will be synthetic. In total, the full kit makes up 24 diapers for 1 child. For families with more than 1 kid, they get the initial 24 + an additional 18. If you’re interested in applying for individual help, complete our form. If you would like to support this program, please consider kicking off 2019 with a donation! We still need help supporting these families struggling with poverty, please DONATE NOW. The Diaper Distributions Have Begun! Jake’s Diapers is a 501(c)3 non-profit organization that solves diaper need for infants, elderly and those with special needs. This is essential for clean, healthy and active lives and creates a sense of dignity for those we serve. When we alleviate the ongoing financial burden of diaper costs, we empower recipients to pursue a higher quality of life.